You are curenlty in Uresil Tru-Close® Suction Drainage Bag, 500ml made by Uresil and asigned to category. The Tru-Close Suction Drainage System Is Designed To Be A Completely Closed System For Abscess And Other Fluid Drainage. Compact And Self-Contained System Allows Full Patient Ambulation. During Activation, Bodu Fluids Are Not Aerolized Because All Fluids Are Contained In The System. 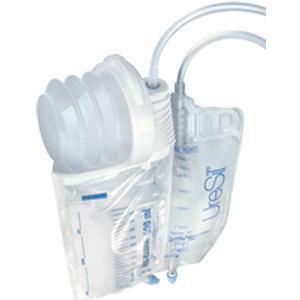 You have selected Uresil Tru-Close® Suction Drainage Bag, 500ml from Miscellaneous Disposables. We hope that this Uresil Tru-Close® Suction Drainage Bag, 500ml made by Uresil is what you were looking for. If you have any questions about this particular Uresil Tru-Close® Suction Drainage Bag, 500ml or any other products from Miscellaneous Disposables, please call us. We have an experienced staff that will gladly help pick out the correct Uresil Tru-Close® Suction Drainage Bag, 500ml for you, also. If you are looking to make a purchase of Uresil Tru-Close® Suction Drainage Bag, 500ml in large quantity or you are a Hospital or Medical facility and need help on making a purchase of Uresil Tru-Close® Suction Drainage Bag, 500ml made by Uresil, please contact us.